Climate change and population growth could cause chronic shortages by 2050. Whitehall’s preference is to target individual consumption and talk up costly infrastructure. It would be smarter and cheaper to push the biggest users – business and the power industry – to cut back. 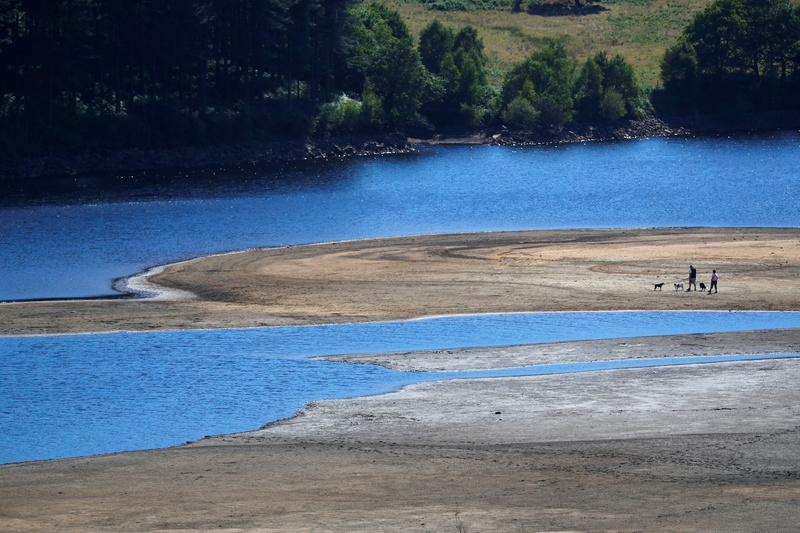 Two people take a walk near the water's edge, where the water level has dropped significantly during the U.K. heatwave, of Torside Reservoir in Longdendale, Derbyshire, Britain, July 3, 2018. March 22 is World Water Day, first designated as such by the United Nations in 1993. The theme this year is “Leaving no one behind,” aiming to highlight how more than 2 billion people already live in countries experiencing high water stress, while some 4 billion people experience severe water scarcity during at least one month a year. Global water demand will increase up to 30 percent by 2050, according to the UN. By then, he told a conference, rising temperatures from climate change will have reduced available water by up to 15 percent on average, with the warmer south east of the country hit even harder. He proposed reducing leak rates and finding ways to cut individual water use as well as building desalination plants, reservoirs and infrastructure to transfer water between regions and water basins. Britain’s National Infrastructure Commission last April estimated that it would cost 21 billion pounds to achieve “resilience” by investing in fixing leaks, new storage, pipelines, desalination plants and more.